The 2017 Pune Guide is now available here. This 99–page guide provides everything the Iyengar student needs to know about the Ramamani Iyengar Memorial Yoga Institute (RIMYI), accommodations, hotels, restaurants, currency, shopping and more. 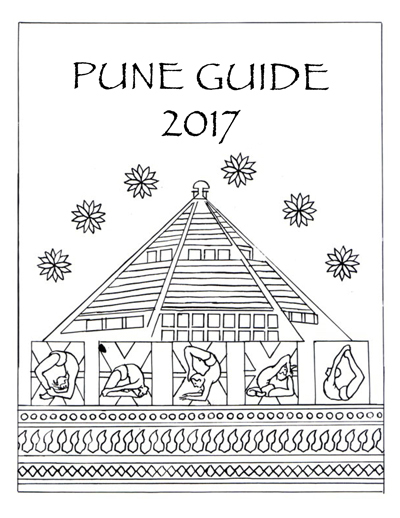 A Spanish language version of the 2017 Pune Guide can be downloaded here. A French language version of the 2017 Pune Guide can be downloaded here.